Business today is no longer solely about customer satisfaction and profit margins. Human resource is an inherently critical aspect of business management making a focus on the employee experience a prime area. Business today is no longer solely about customer satisfaction and profit margins. Human resource is an inherently critical aspect of business management making a focus on the employee experience a prime area. Over the past few years, firms have moved from looking at mere job satisfaction to a more holistic approach of gauging the overall employee experience, recognition and, engagement. 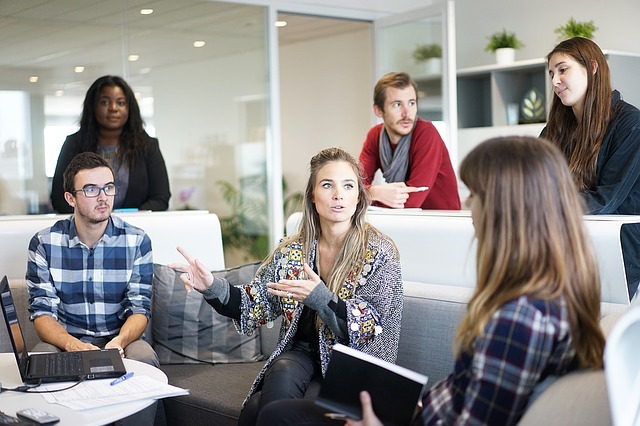 There has been a growing realization that an employee’s perspective and experience in relation to the workplace is the basis of company culture. According to a report by the McKinsey Global Institute, productivity in organizations has improved by 20-25% with employees that are connected. Essentially, employee productivity has a substantial impact on the bottom-line; engaged employees bring about better business outcomes. This is supported by data from a recent study by Gallup’s which demonstrated an increased productivity by 21% by teams with high employee engagement rates. Similarly, it was also cited that there is a 28% less chance of internal theft compared with teams with low engagement. Employee engagement entails an employee’s emotional commitment to the organization and its collective goals. It’s a well-known fact that an engaged employee is one that is motivated, productive, loyal and in turn better able to manage stressors. An emotional connection to the organization means employees go beyond the salary and care about the quality of their work and in turn, the well-being of the company. Given the significance of employee engagement organizational performance, Herald-Tribune quoted a statistic which posited that “a majority of employees (51 percent) are not engaged and haven’t been for quite some time.” There has been minimal progress over between 2012 to 2016 and US – along with the rest of the world – finds itself in an employee engagement crisis. Gallup’s research found that the current management and leadership philosophy is outdated and emphasized the need for effective retention strategies to keep talented individuals. Business executives and human resource (HR) managers looking for meaningful measures of human capital factors and its subsequent business outcomes. Workforce analytics is increasingly critical because managers have found they do not have a clear-cut understanding of the culture and capabilities of their workforce. HR and/or talent metrics manage and track employee performance in addition to maximizing data to contribute to HR decisions. The world is seeing a two-way demand for more- companies need more from their employees while employees demand the same from its employer. Technology is an enabler that supports the establishment of a seamless framework of recognition and engagement throughout the employee lifecycle. HR and talent analytics helps businesses accurately gauge management approaches and the degree of affinity employees have for their place of employment. Predictive HR and talent analytics can be a tool used by firms to gain insights into employee benefits, sentiment, promotions, and talent management, to aid in more relevant and appropriate HR forecasting. In today’s digital data-driven landscape, there is no shortage of tools available to measure engagement factors. Employee Engagement solutions provide value in operations, management, internal communications and overall symmetry and convergence. Platforms can include a range of functions such as text mining, survey analytics, as well as predictive and statistical analysis. Human resource is arguably an organization’s greatest asset but if improperly managed, will trickle and affect all other aspects of business management. Engagement has a direct impact on vital business outcomes that include absenteeism and turnover. A sustainable employee engagement strategy will not only keep employees invested in the organization through actionable data insights, tactical projects and proper recording and timely responses.